How do you have so much hair??? 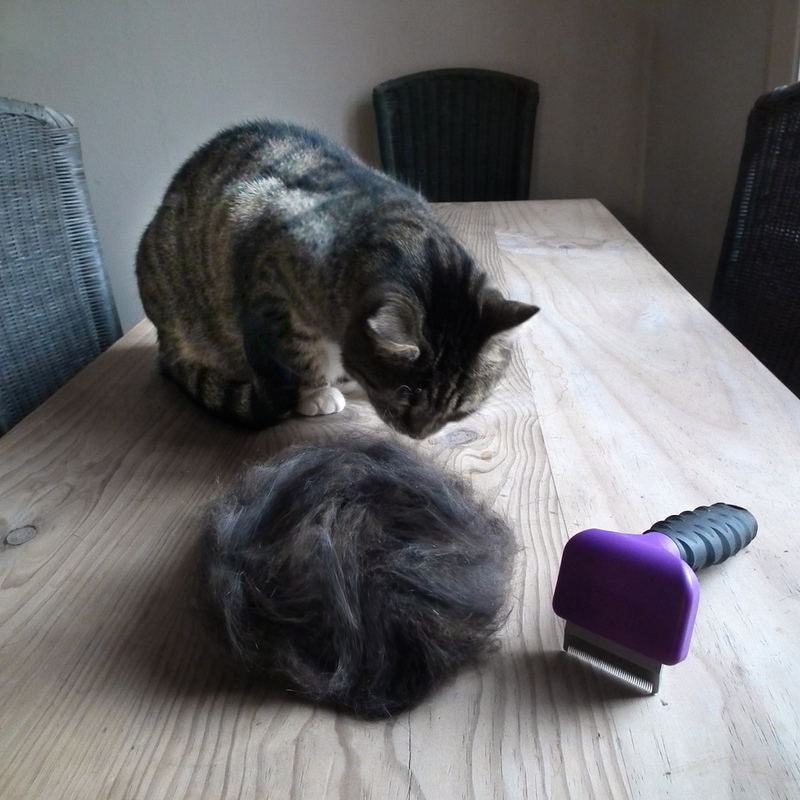 Ways to keep your cat’s shedding under control. You love your pet. But that doesn’t mean you want hair and dander all over your house. Unfortunately, the battle against loose hair seems never ending. So how can you care for your pet and keep a clean house at the same time? Don’t worry, there are steps you can take. Try these top tips to help you keep your pet’s shedding in check. A good brushing can rid your pet’s coat of a great deal of loose fur. If you take time daily to brush your pet either outdoors, in your garage, or in a breezeway, you will not only help your pet maintain a healthy coat, but you can also contain the spread of hair throughout your home. Keep removable, washable coverings on your furniture. If your pet is allowed on furniture in certain rooms, consider keeping a washable covering over couches and armchairs. This will allow you to more readily clean these areas and prevent fur from becoming embedded in upholstery. Vacuuming regularly will also help pet hair from spreading to other parts of the house. Wash your pet on a weekly basis. By giving your pet a bath, you can help rinse out loose hair and keep its coat healthy and clean. Regular bathing can also help reduce allergens associated with dander or pollen from outdoors. However, take care to only use shampoo specially formulated for your pet, as other shampoos can cause skin irritation. Is your pet shedding more than usual? Pets shed to get rid of dead or damaged hair, or to lighten their coat as warmer weather hits. This means that your pet will almost always be shedding to some degree, although they will shed more over the spring and summer. However, if your pet’s coat seems lackluster and thin, it can be a sign of a poor diet. Look into higher quality pet food to be sure your pet is getting enough digestible proteins. And if your pet’s coat seems to itch, or if it is shedding in patches, it could be a sign of illness and should see a vet. Overwhelmed by cleaning? A thorough, professional cleaning can get rid of a lot of the excess hair floating around your house and help you keep your pet’s shedding in check. Contact the Modernistic team today to schedule an appointment.